Who knew Target and Ban.do could help you organize your life? 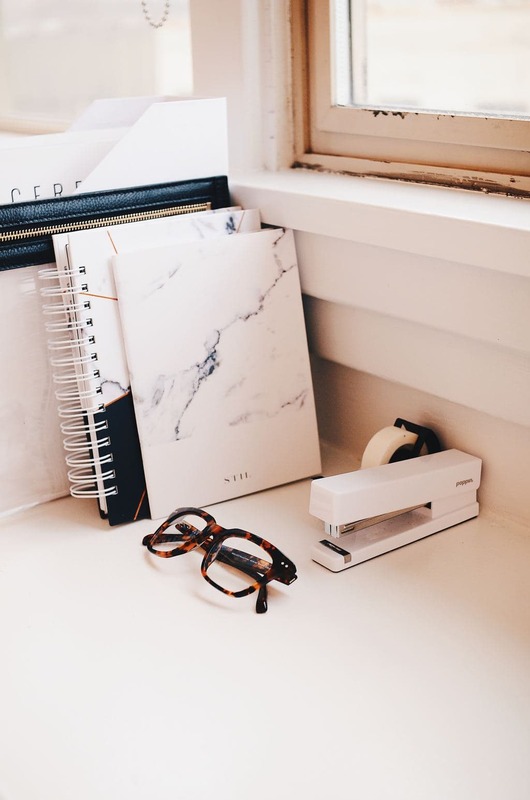 Want to be your most productive self this year for only $30 (or less)? The answer lies in your 2018 agenda. 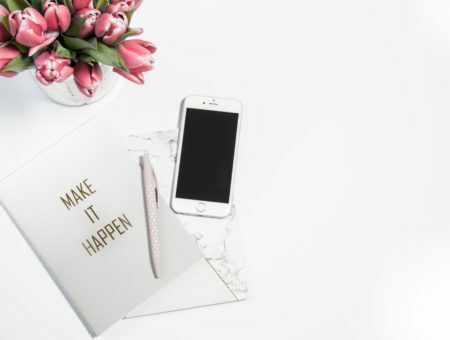 According to Lifehack, jotting down notes and reminders to yourself — including phone numbers and upcoming academic deadlines — can greatly reduce your stress level and keep you at an all-time efficiency high. It also helps you to maintain a facade of successful #adulting. 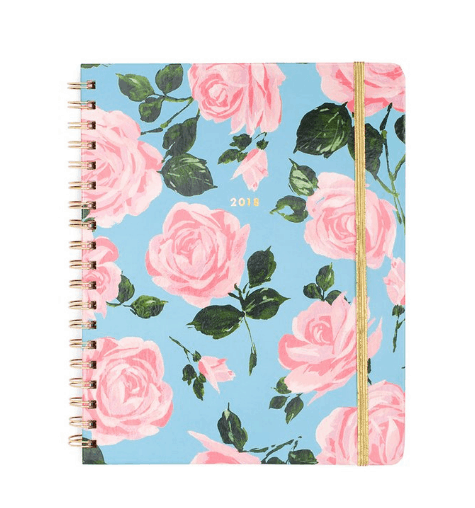 If you don’t have an up-to-date monthly planner, check out my top picks for the best 2018 planners below. 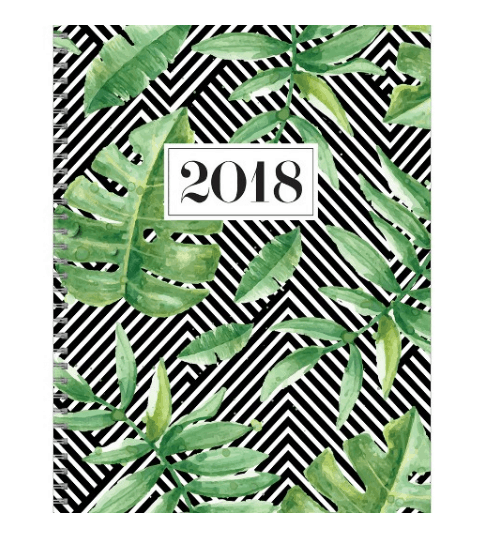 This 5.5″ x 8″ spiral-bound planner has you covered from January to December of this year. Monthly and weekly spreads are included, and there’s plenty of room for personal notes and reminders. Advertised as your personal desk calendar, this Stephanie Baxter product is eye-catching and instantly inspirational. 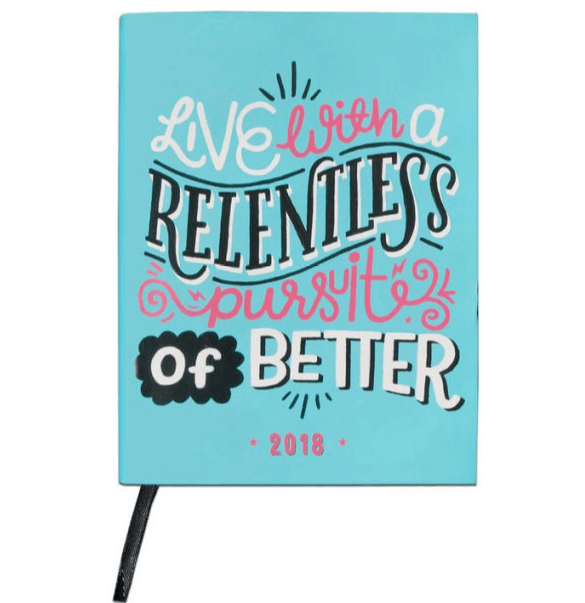 The quote, “Live with a relentless pursuit of better” motivates you as you write down your weekly engagements and to-do list. Available at Barnes & Noble. 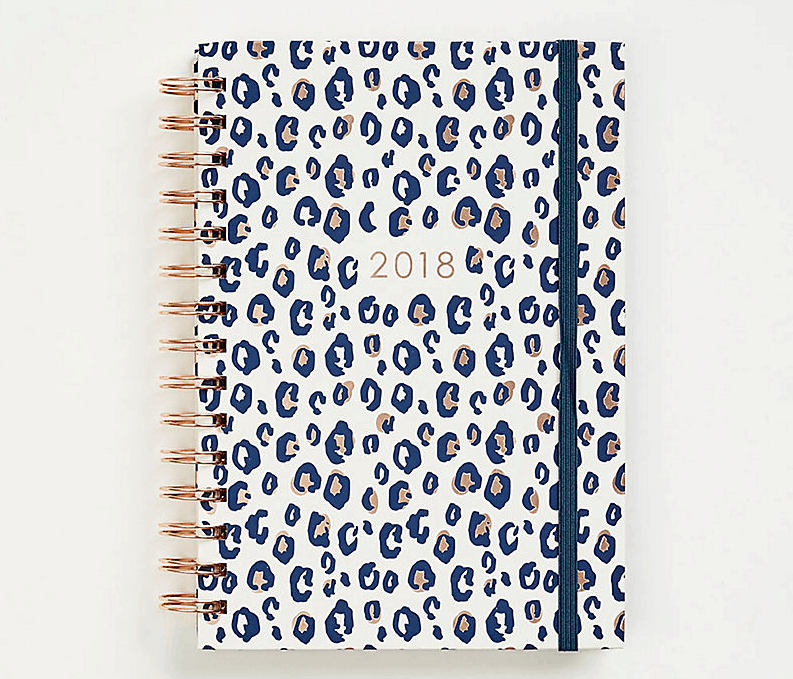 Slide your fingers all over this textured print cover and tell me you’re not excited to plan out important meetings and deadlines in this 9” x 11” planner! The tropical pattern will make you feel like you’re at the beach or relaxing at a five-star hotel in the Bahamas when you’re really just looking over class notes in the library. But maybe spring break, right? 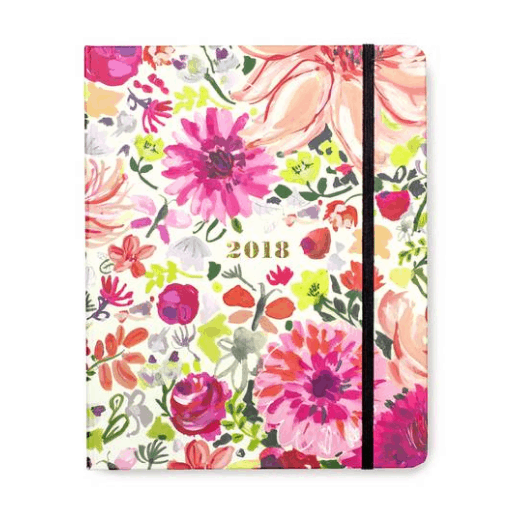 Okay, it’s not a typical planner, but if you’re a Disney girl, this is a must-have. 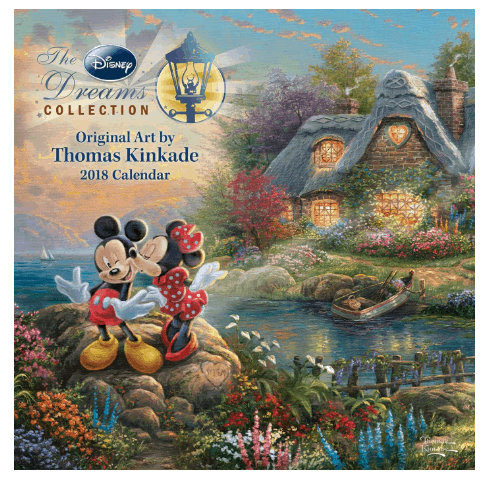 Disney lovers will rejoice in being able to record birthdays and other memorable events in this beautiful Thomas Kinkade 2018 calendar. Each month highlights an original full-color illustration, such as “Pinocchio Wishes Upon a Star” and “Mickey and Minnie-Sweetheart Cove” (featured above). Quick! 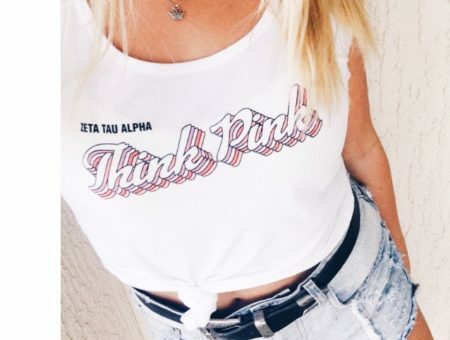 What’s pink, orange, and floral all over? 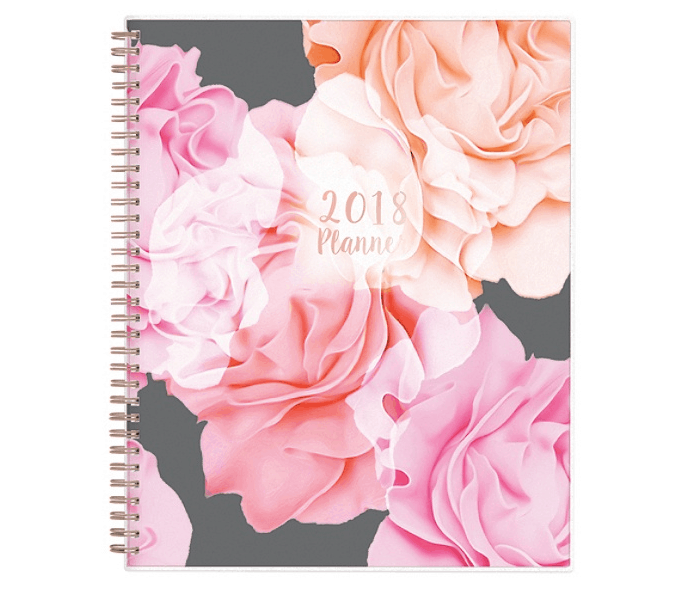 This gorgeous 12-month planner with convenient page tabs, weekly two-page spreads, and 50% recycled content. Eco-friendly has never looked more chic. 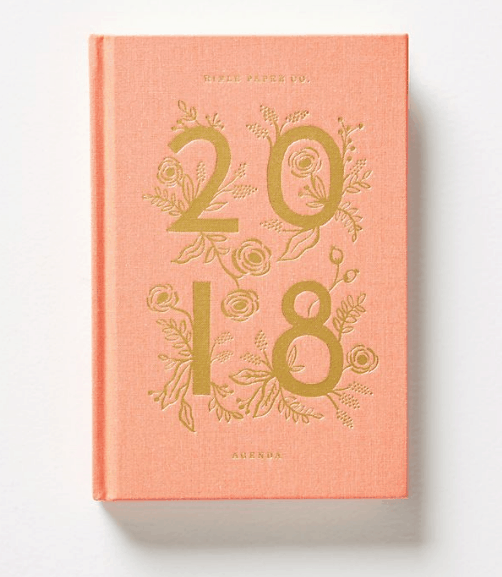 Spanning from January to December of this year, the Rifle Paper Co. coral cloth 2018 planner is pretty enough for a shelfie but is actually functional at the same time. It includes a pocket folder for additional paper scraps and sections for notes and contact information. Once you get used to the professional finish of a Moleskine, it’s hard to settle for any other journal. Honestly, Kate Spade could slap her name on a plain paper bag and I’d still buy it. But this 17-month agenda, complete with a beautiful floral cover and laminated divider, is something special for sure. Plus, it comes with gold foil stickers! More of a minimalist? Ban.do’s got your back. 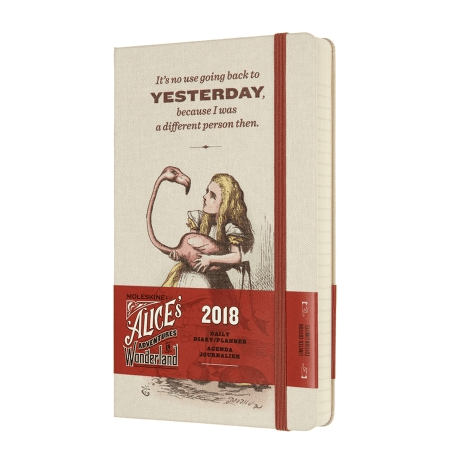 Their 8” x 10” hardcover planner has a year view and month view. There’s no space for daily entries, because nobody’s got time for that. 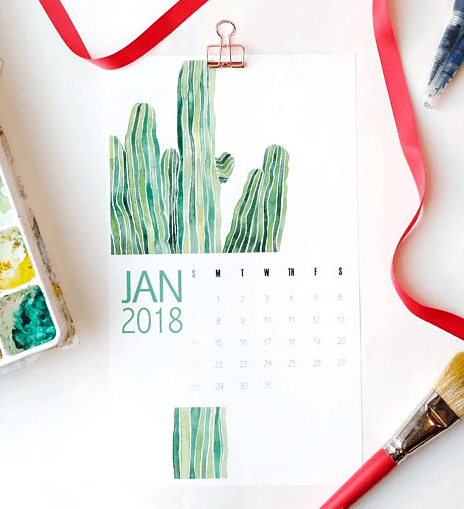 Created by the Earth and Alchemy shop, this hand painted watercolor wall calendar puts the spotlight on Jenni Pirmann’s botanical and succulent prints. The product is a delightful collection of Pirmann’s highest selling nature illustrations. You can choose between a single rose gold metal clip, 2 rose gold metal clips with jute rope, or a classic hanger frame for maximum personalization. Do you have a go-to agenda designer? What is your preferred method of note-taking: Google Calendar, your phone, or a physical planner? Do you have any studying tips you’d like to share?